Time is the most valuable resource in our lives. Some people don’t realize it, but this resource is kind of limited (we’re all gonna die, you know) and this is exactly why we got to use it well! Do you really know how much time you spend on doing this or that activity? How much time are you being productive and how much time goes wasted on procrastination? With the app called SaveMyTime, learning about these things becomes easy and fun! You’re all set to go! Tap on the activity you’ve been recently involved in whenever you want to! Don’t worry if you’ve chosen a wrong option – you can go to settings and edit both history and activities. Time is registered automatically. If you’ve been up to two activities, you can log them in together. You don’t have to use the tracker all the time – if you don’t need it, you can turn it off. So, as we see, all the possible inconveniences of using such kind of app are thought through and eliminated! Tracking activities itself motivates you to do more useful things! For example, when I just started using the app, I chose to read an article for my studies instead of watching a YouTube video, so it really works! It’s like you challenge yourself into being as productive as you can, which is awesome (if done in a reasonable way, of course!). What gives you much more motivation though is the insights you get daily, weekly, monthly and even annually! By the way, all the activities are separated into three big categories – life, work and others. So, not only can you view stats concerning exact activities, but you can also check out your work-life balance. By viewing stats, you can see how much time you spend on activities that really matter to you. If you’re not satisfied with the results, well, there is always a space for improvement! I personally understood that I spend too much time on preparation, organization and all these types of things. I’m surely going to work on that. Who knows what your discoveries are gonna be! 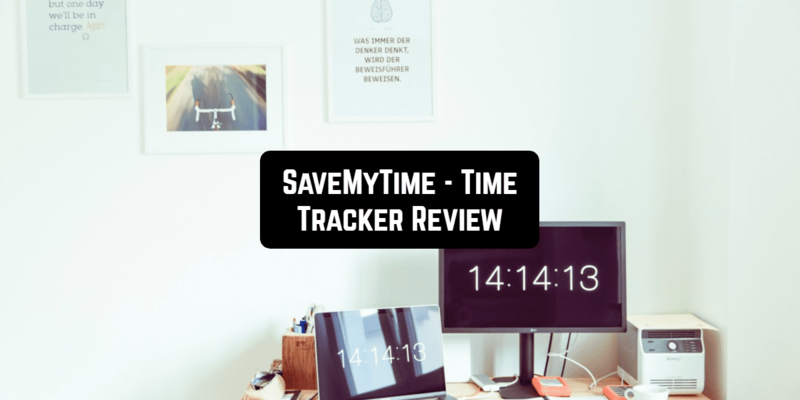 Get SaveMyTime right now and find out! The overall impression of the app is just excellent. The design, the feature set, the idea – everything is top-level! If you aim for being more productive or want to learn more about your lifestyle, you have found a perfect tool for putting your intentions into reality. We hope, this info was useful to you. Stay productive and, as always, be smart in choosing apps!